Adding avocado to cakes is a great way to replace butter, oil and eggs. And, you don’t even notice the taste of avocado. You should definitely try it. 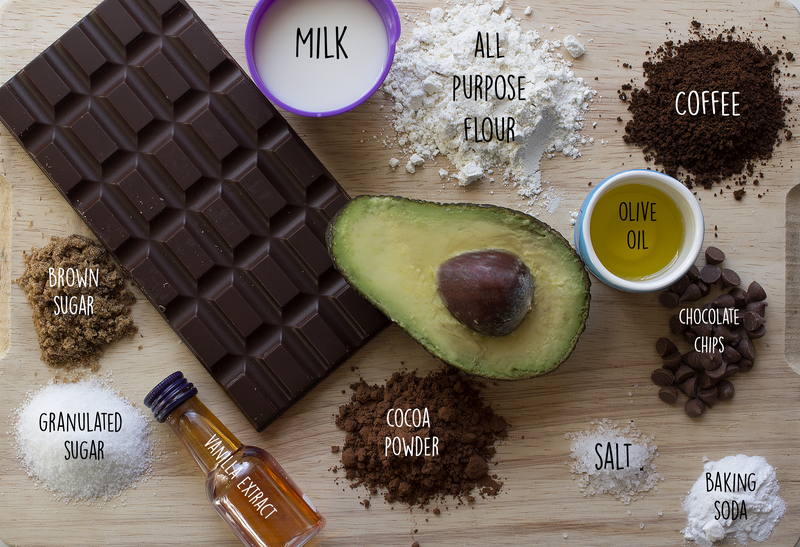 Basics: Avocado, almond milk, coffee, olive oil, chocolate, cocoa powder, vanilla extract, sugar, salt, flour, baking powder. 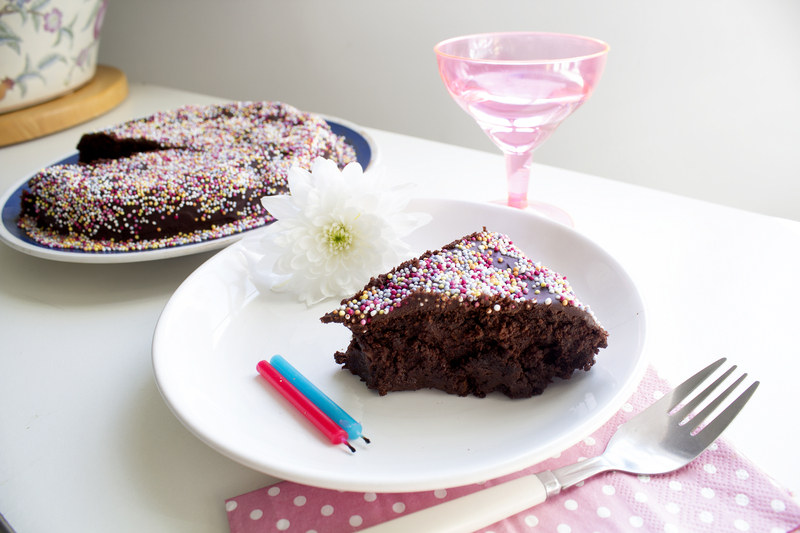 This recipe is inspired by the Vegan Chocolate Cake from Ambitious Kitchen. I must say, it was a bit rich in chocolate, so I’ve added a few strawberries on the side. Place a small saucepan over low heat and add in 80gr of chocolate and coffee. Whisk until chocolate is melted, then remove from heat and set aside. In a large bowl, whisk together flour, both sugars, cocoa powder, baking soda, and salt; set aside. In a separate large bowl, beat together mashed avocado, oil, and vanilla extract until smooth. 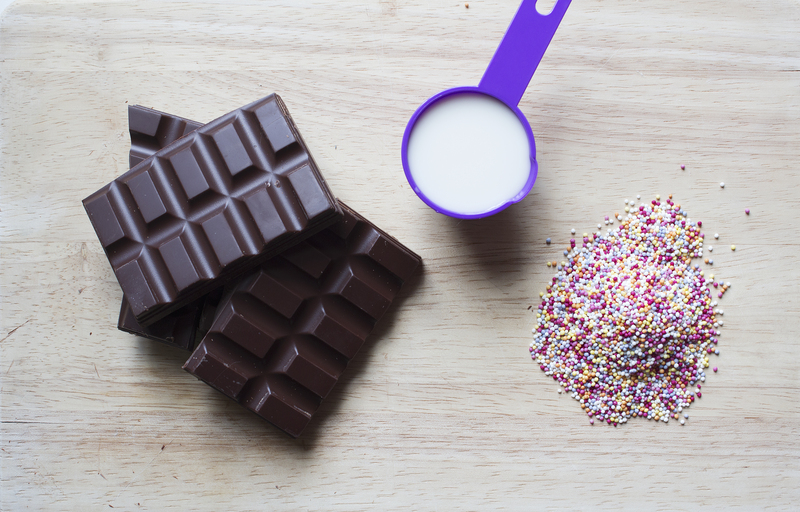 Whisk in cooled chocolate and your milk of choice. Add wet ingredients to dry ingredients and mix until just combined. Gently fold in 1/2 cup chocolate chips. Your cake batter should be pretty thick. If it’s too thick, add in an extra tablespoon or two of milk. Pour batter into pan and bake for 35-45 minutes. Use a skewer to test the center, it should come out almost clean. Let cool in pan an hour on a wire rack before flipping over and transferring to wire rack to finish cooling completely. 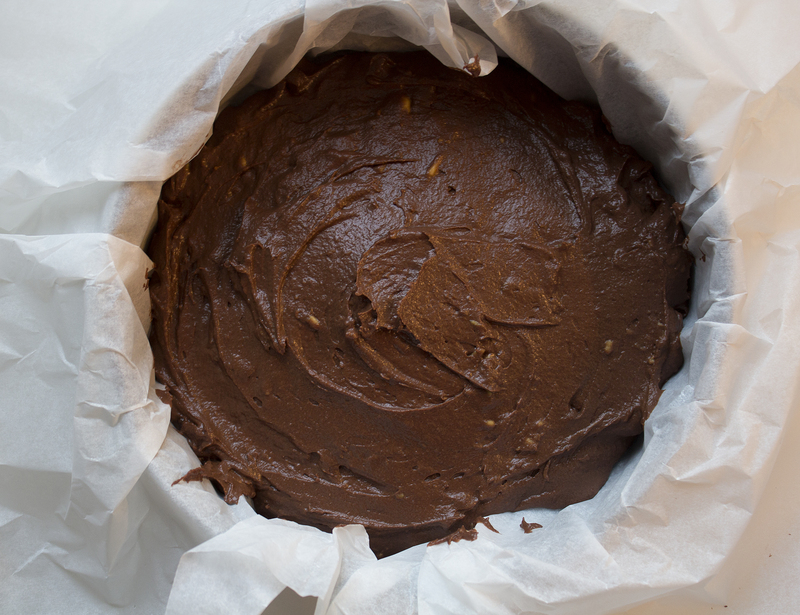 To make vegan chocolate ganache, in a small saucepan over medium-low heat, add in milk and chopped chocolate. Whisk until chocolate is completely melted. Let stand for a few minutes then immediately spoon ganache over cake. 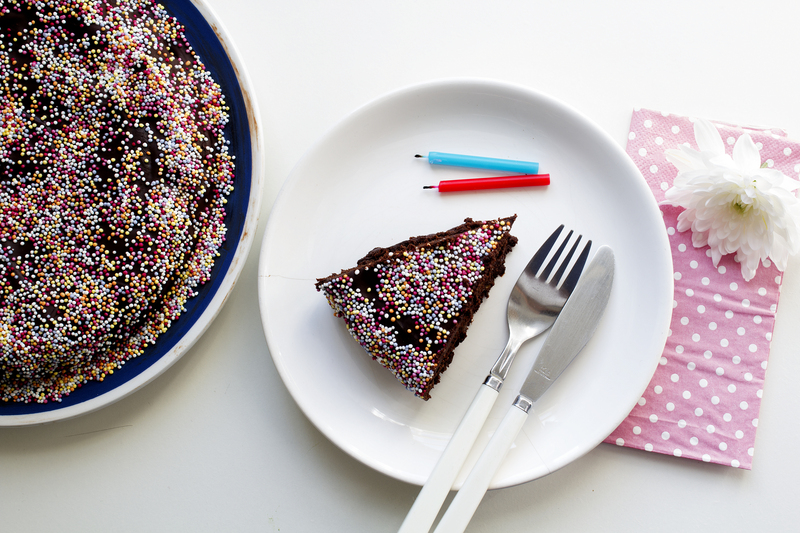 Top ganache with sprinkles, or another topping of choice, such as strawberries. Don’t forget to tag #honestonion if you try it.